It is important for anyone who may be planning to start a blog to know how to go about it so that they can avoid making “expensive errors” The first thing one has to know before they set up a blog is which subject they are going to be writing about. This is one of the most important tips anyone will ever come across whether here or elsewhere and this is because, choosing to blog about a niche one is not comfortable or knowledgeable in results to them having a nightmare but on the other hand, choosing to blog about what one is interested in and is highly knowledgeable in results in the blogging experience being not only fun but rewarding. So now that we have covered that, we shall go on to look at how to set up a blog and in particular how to go about putting up a wordpress blog but before we do so, we shall first look at why wordpress is a good choice. There are many ways one can go about setting up a blog e.g. paying for a domain name from a reputable domain registrar, paying for a hosting account from a reputable hosting company, configuring the hosting servers with the domain servers and in particular the DNS servers and finally setting up wordpress on your hosting account. This scenario leads to one having several accounts which at times may be difficult to keep track of leave alone maintain and that is why wordpress blogs are easier to set up and maintain mainly because they don’t involve all the above steps. The two types of wordpress blogs mentioned above each has they own strengths and weaknesses though if one is serious about blogging, they ought to upgrade their free wordpress blog to a premium one so to say as this not only increases online storage space but it also makes available several other features e.g. 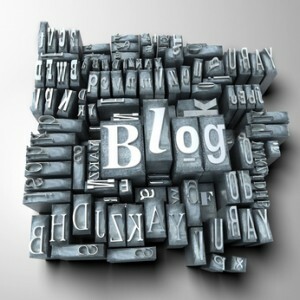 plugins which can be a great accessory for your blog. The entire process of setting a wordpress blog is simple as all it requires is for one to visit the wordpress website where they will pay for the domain (example of a domain is name.com) as well as the hosting. Effective spam management systems – Spammers are no match for wordpress blogs. Automatic backups – wordpress blogs are automatically backed up to ensure if the blog ever crashes, one can still manage to retrieve all the lost information. Availability of plugins – One of the best things about wordpress blogs is that one has a broad category of plugins to choose from and which I may add are free though there are those which may request for voluntary contribution. If you would like to have our team setup and install a blog for your for free, be sure to check out our blog installation service. This guest post was provided through blogging.org content creation services.